We are a leading Wholesale Trader of high voltage keep out danger signs, heavy-duty hazardous work site signs, emergency stop machine safety signs, hearing and eye protection recommended signs and men working roll up signs from Mumbai, India. We are the prominent manufacturer, supplier, trader, distributor and exporter of Electrical Safety Sign. Danger Sign finds its application in industries like Power, Energy, Railways, Automobiles, Aviation, Engineering and Construction. Our product is well known for its convenience to use, high strength, lightweight and high durability. We have over two decades of vast industrial knowledge and experience in producing superior quality Site Sign. The basic materials used in manufacturing Road Safety Sign are well tested by our testing team to ensure its safety. Advanced techniques are used to produce Road Caution Sign with precision. We are long-time established manufacturer, distributor, importer and exporter of Safety Sign. 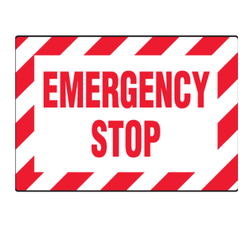 • Message reads "EMERGENCY STOP"
Our Informatory Signs are being exported to global regions out of Middle East, Africa, South Asia, Latin America, Europe, Bangladesh, Bhutan, Nepal, Sri Lanka and many more. Hazard Warning Sign provides adequate protection to a person working in adverse working conditions. • Wording says: "HEARING AND EYE PROTECTION MUST BE WORN IN THIS AREA"
Our Informatory Sign are being exported to global regions like of Middle East, Africa, South Asia, Latin America, Europe, Bangladesh, Bhutan, Nepal, Sri Lanka and many more. 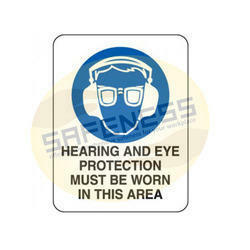 This Eye and Ear Protection Sign are used in various industries like Metallurgy, Chemical, Cement, Oil and Gas, Construction and so on. With more than two decades of experience in the field of Industrial Safety Products, we have emerged as a respectable leader for the supply of Work in Progress Sign. 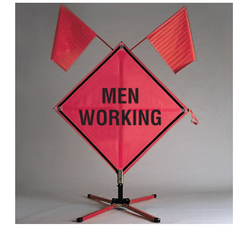 • Sign reads "Men Working"
Our product Roll Up Sign was developed keeping in mind the safety of people working in manufacturing plants and indoor or outdoor work sites. This Construction Safety Sign conforms to government standards and industry regulations. New models of this Men Working Sign keep developing to produce higher quality products without cutting corner. 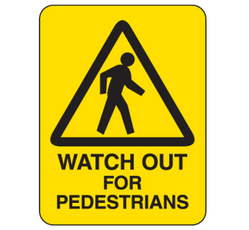 Looking for Road & Job Safety Signs ?